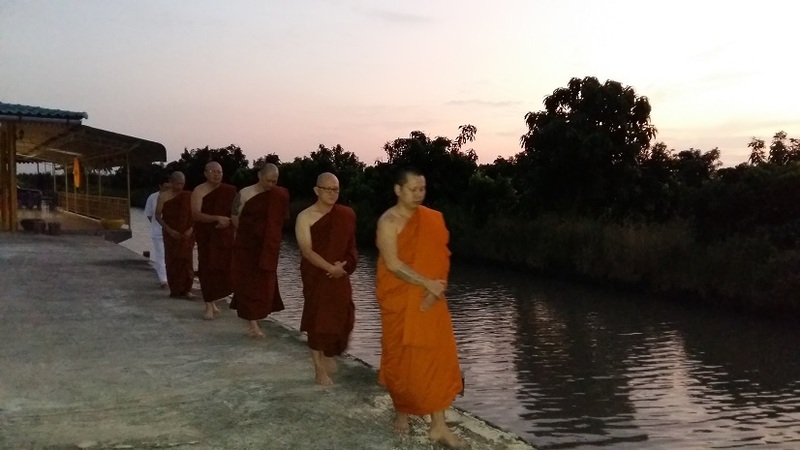 Usually, it is a custom whereby when we pass donation of any kind (requisites, money) directly to monks and nuns, they would chant transference of merits to us. Sometimes, there would be someone who asked around his or her friends and later pass the donations over to Khun Mae. Some of the donors have not even met Khun Mae before. In that case, would the donors have merits from the donation? Below is taken from a question I pose to Khun Mae in 2009 (yes, I am going through my notes to find more Dhamma sharing articles) where I asked her how would a donor receive merits if they did not manage to pass the donation directed to Khun Mae (instead they went through someone else to do it). This question arose as one of Khun Mae’s disciple had visited her from Singapore and is helping to pass over donations that various donors had entrusted him to do so. When a person heard that Khun Mae wanted to build or repair the temple and donated some funds…. the person already have merits. The donor then passed on the money to his/her friend…let’s say Ms A who would be seeing Khun Mae. Ms A then passed the money directly to Khun Mae…..Ms A also have merits. Earlier Ms A had also told some of her friends about Khun Mae and got others to believe and donate in faith, Ms A also have merits. Therefore, all the donors already have merits even though the money has not been passed to Khun Mae yet. Let’s say in another scenario, Ms A took the money and used it instead of passing to Khun Mae, she would be incurring kamma from that act because she had embezzled the funds. But the donors already have merits. Therefore Khun Mae mentioned irregardless of whether she chant the transference of merits or not, the donors already have merits. 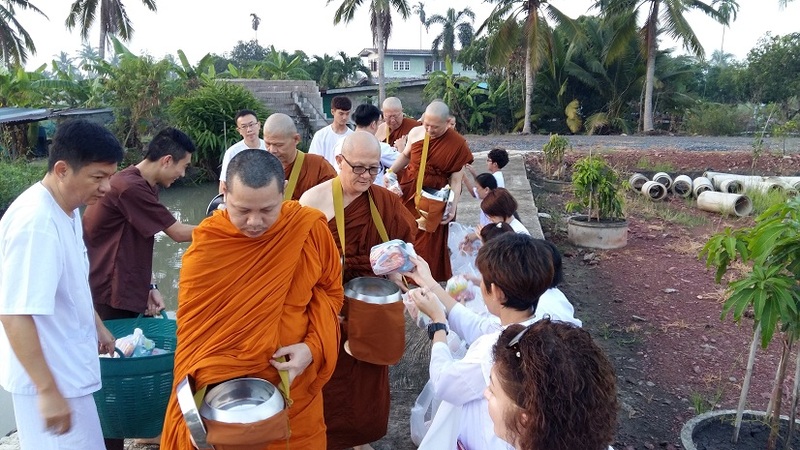 If the donor did pass the donation directly to Khun Mae, she would chant the transference of merits as part of monastic practice. With the funds, Khun Mae then went on to successfully build/ repair the temple as intended by the donors. She also received merits having put in effort in the building/ repair. Once the temple is successfully built/repaired, then the donors and Ms A would accrue even more merits. 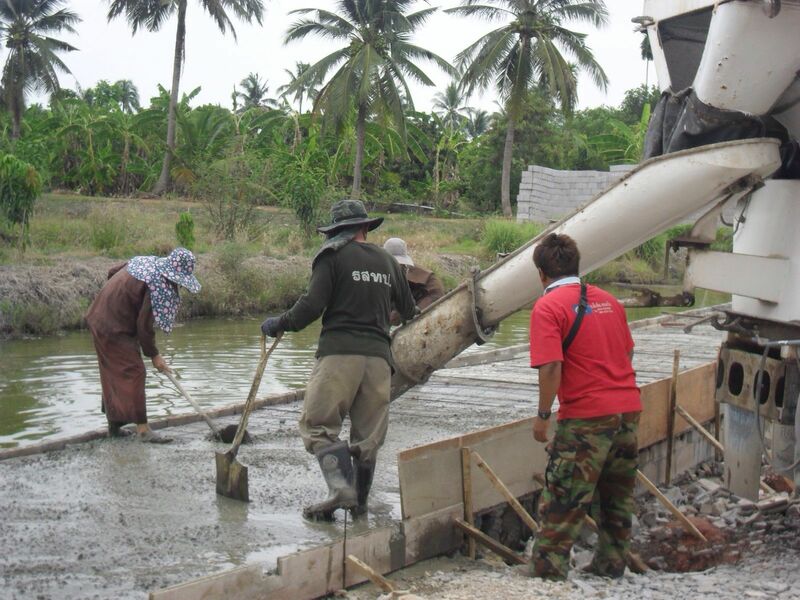 Above: Khun Mae working alongside the workers to pour cement to build a walking path in front of the temple in 2012.